THE TRADITIONAL AND THE CLASSIC COLORPOINT SIAMESE (AKA: TRADITIONAL AND CLASSIC COLORPOINT SHORTHAIR) FAQs. Q: What is a Traditional Colorpoint Siamese and a Classic Colorpoint Siamese? 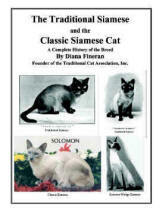 A: Like the "Siamese" and the "Balinese", the "Colorpoint Siamese" has gone through the very same persecution by all of the other cat associations. Therefore, there are three types of body shape. 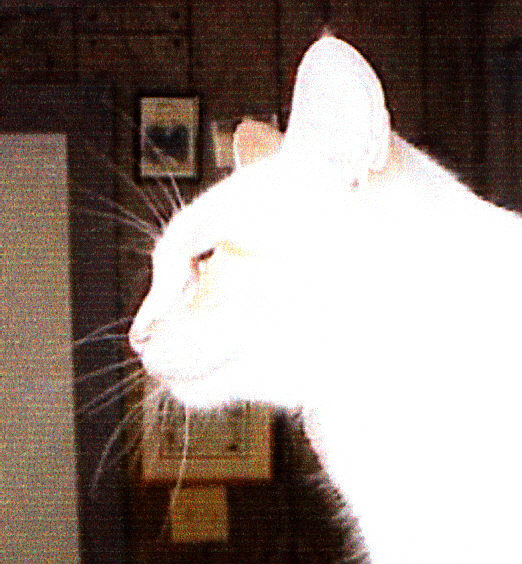 The Traditional Colorpoint Siamese is a round faced cat with a heavy, stocky body. Very much like the Traditional Siamese and the Traditional Balinese. The Classic Colorpoint Siamese has a WIDE wedge shape to its head, with a SLIGHTLY more elongated body, legs and tail than the Traditional. The Extreme Wedge Colorpoint Siamese has a head shape like a piece of pie with huge ears. The body is long, thin, tubular and emaciated all over. THE TRADITIONAL CAT ASSOCIATION, INC. DOES NOT SUPPORT THE EXTREME WEDGE COLORPOINT Siamese. Q: What are the genetics of the Traditional Colorpoint Siamese and the Classic Colorpoint Siamese? A: Basically they are a cross between a "Siamese" and a non-pointed cat of any breed. From the "Siamese" they retain the color point gene, and from their solid colored ancestor they retain a variety of point colors. They are a separate breed, which does breed true to its Breed Standard. A: A wonderful variety of point colors is available. They are: Red Point, Cream Point, Cinnamon Point, Fawn Point, Seal Point, Chocolate Point, Blue Point, Lilac Point, Lynx Point (in any of the colors), Tortie Point (in any of the colors), and Torbie Point (in any of the colors). If a solid pointed kitten is born from "Colorpoint Siamese" parents, it is Registered as a "Colorpoint Siamese", because genetically that it what it is. Q: What is their temperament? A: The Traditional Colorpoint Siamese is a blend of two breeds that is most welcome in any home. Playful and fun loving, they attach readily to their human family as well as to children, dogs or other cats. You can expect a bit less use of voice and a generally toned down personality than the Siamese. They retain the snoopy, cuddling, playfulness and loving nature of their forebears.